hello , has anyone come across plans for an open crank engine made from bar stock ? The Webster and kerzel open crank hit and miss engines can be found on the web if you want something small. Model Engine Builder will sell the two back issues that have very good drawings for the Zero-six engine in digital format for a modest cost. I built it with some modifications so it did not look so much like a barstock engine but mechanically all the same. There's no stopping him now vertical but this thread starts a bit funny, page two has a picture. BTW it would help others in future searches if you made your title more explanatory and the text a bit more detailed. Yes I should think half or two thirds that size would work out OK. If you prefer metric then working to a ratio of 1/16" = 1mm will give mostly whole numbers, 192mm dia flywheels and 32mm bore. 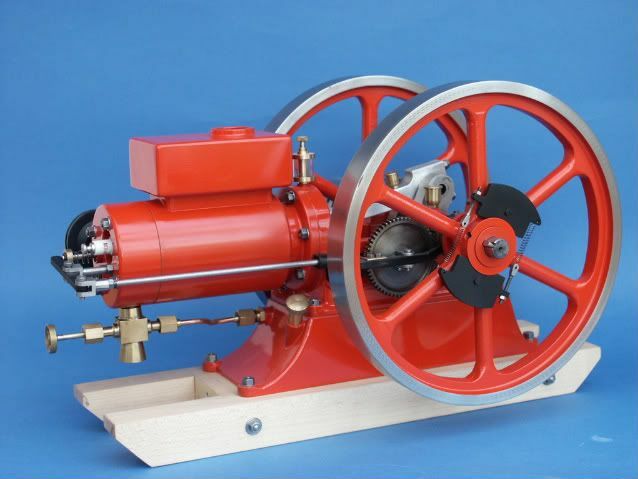 The Rina engine was described in Model Engineer a few years back. were a few problem areas in the drawings but I can help with corrections. I haven't actually built the engine.